20' HURRICANE DECKBOAT WITH A 140HP 4 STROKE SUZUKI OUTBOARD MOTOR. IT WILL HOLD 8 ADULT PASSENGERS. 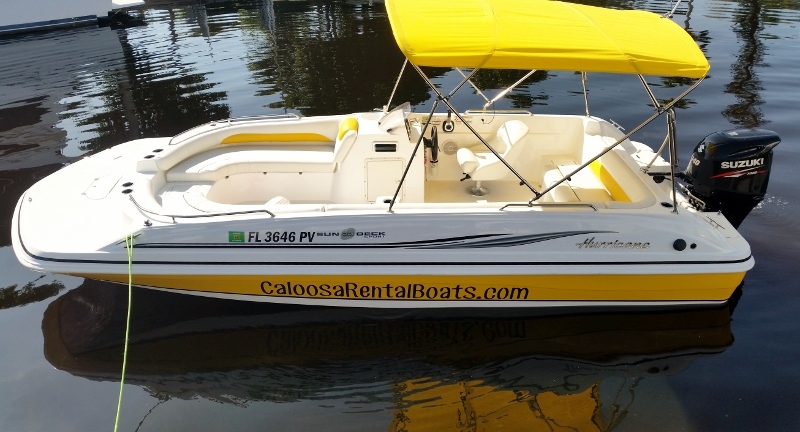 IT COMES EQUIPPED WITH ALL SAFETY GEAR REQUIRED BY LAW, GPS, LIVE WELL AND BIMINI TOP FOR SHADE.